It’s no secret that Southern California is suffering from prolonged drought, and according to a University of California, Riverside (UCR) professor and conservation specialist, compost can be used as a potent drought-fighting tool. Looking to raise awareness and educate people about this and other benefits of composting is International Compost Awareness Week, a venture of the U.S. Composting Council. It runs May 3-9. Awareness of composting is high at UCR, where the university’s dining services composts many tons of food waste. Another effort on campus involves composting coffee bags and tea bags, with numerous sites available to do this. The Riverside County Waste Management Department provides several resources for residents who would like to compost, including free backyard composting workshops and Master Composter training classes. UCR also has information available to citizens about composting. One important fact to remember, according to Crohn, is that not all composts are equal. Compost that smells good is one sign that it’s genuine and healthy. Even healthy composts vary widely, and bring different attributes. For example, says Crohn, green waste compost improves soil structure and knocks back weed growth. 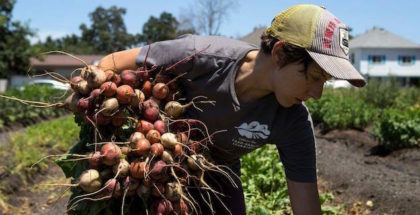 In local food systems, which are becoming more prevalent in Riverside and throughout Southern California, compost enhances soil irrigation and bolsters food production for small farmers. Yet, despite all the advantages that come with composting, Crohn acknowledges the obstacles that keep the sustainable practice from becoming more widespread. Farmers in Riverside and elsewhere in Southern California’s Inland Empire have the option of purchasing their compost locally from the Inland Empire Regional Composting Authority, which produces 90,000 tons of the stuff per year. And, there is the issue of compost’s acceptance in urban areas due to odor. “Trash—people think that’s what compost is,” Crohn says, stressing that as it becomes more familiar and widespread, its level of acceptance will rise. “Compost is actually a biosecurity measure. With more compost, less waste goes into landfills. We all generate green waste and food waste. People need to understand that when they use compost, they help us to manage our waste and conserve landfill space—this benefits all of us. 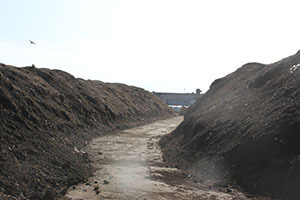 Commercial composting has a significant presence in the Inland Empire and Southern California. Rancho Cucamonga is home to the nation’s largest indoor biosolids composting facility. Operated by the Inland Empire Regional Composting Authority, a total of 410,000 square feet of enclosed space is used to produce compost, which is then sold to area farmers, nurseries, landscapers and soil blenders, as well as to any other organization or individual who would like to purchase compost. Agromin operates a large composting facility in Oxnard, which is located near the coast between Los Angeles and Santa Barbara. In Los Angeles, there is a composting facility in Griffith Park. Because of land expense and the need for odor control, much of the commercial composting in Southern California takes place indoors. Thanks to a new law (originating as AB-1594) approved on September 14 by California Governor Jerry Brown, composters will have even more green waste to work with. In the past, landfills in the state utilized green waste daily as a cover. 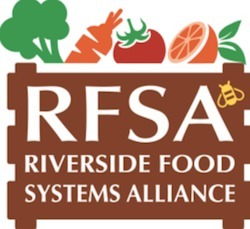 What is the Future of Local Food in Riverside and Beyond?